St. John Evangelical Lutheran Church of Jersey Shore, PA, was first organized on April 29, 1867, as the Evangelical Lutheran Church of Jersey Shore, with 31 charter members. 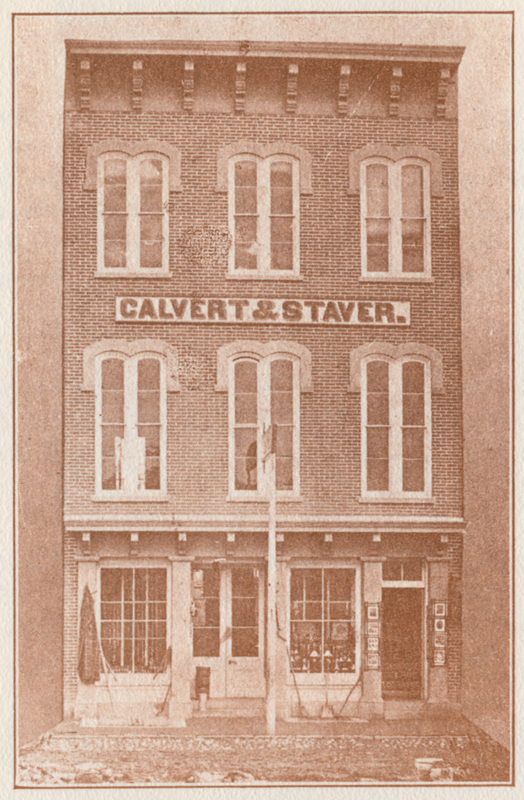 The first services were held on the second floor of Calvert & Staver Hall on South Main Street. 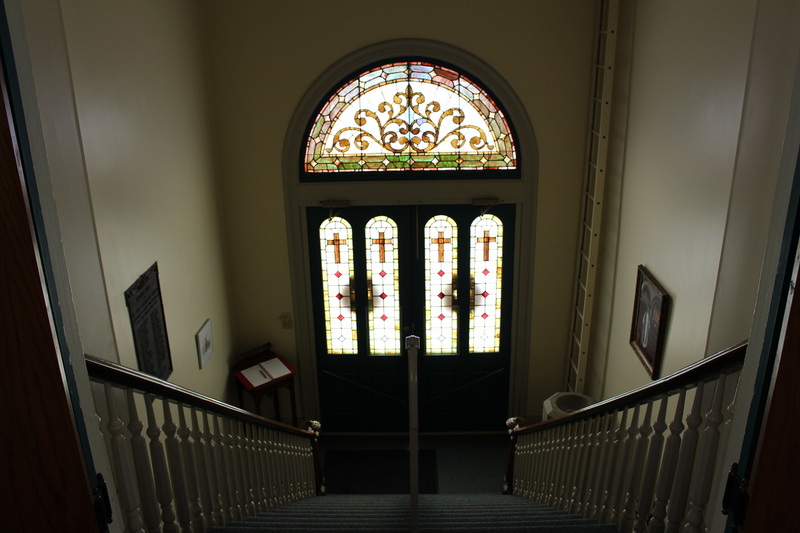 The first prayer meeting was held at the Pastor's home, then 152 South Main Street, with four members present. 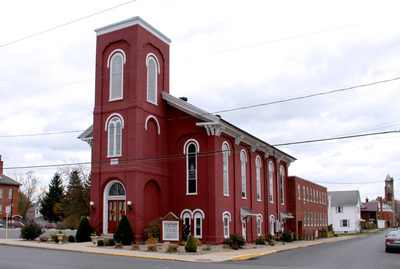 In the fall of 1867 the decision was made to begin building a church. 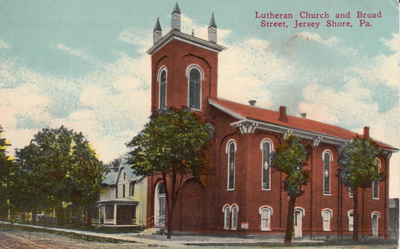 The following spring, excavation was begun for the church, which still serves the congregation today, and the corner stone was laid that August. 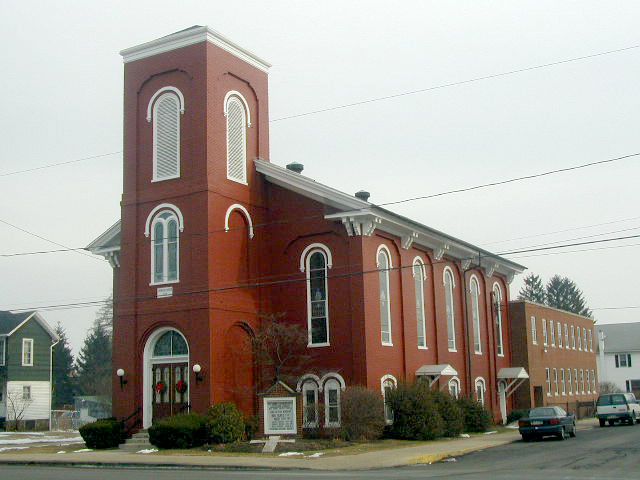 All the bricks for the church were made and burned in a kiln on the building site; a total of 234,000 bricks construct the church and spire. 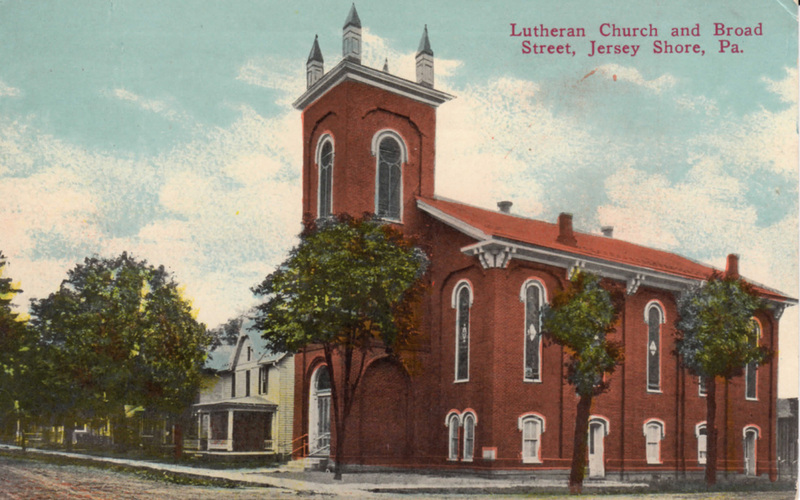 Dedicated in 1869, the congregation worshiped in the lecture room for two years. During the summer of 1871, the church spire was completed and the nave, with its newly frescoed walls, finished. 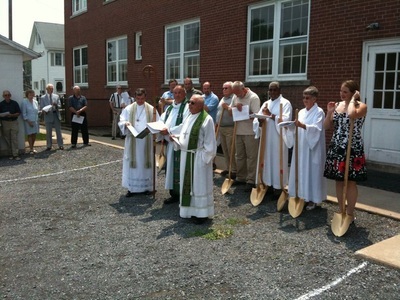 The building was dedicated to the service of God at a session of the Susquehanna Synod that June. 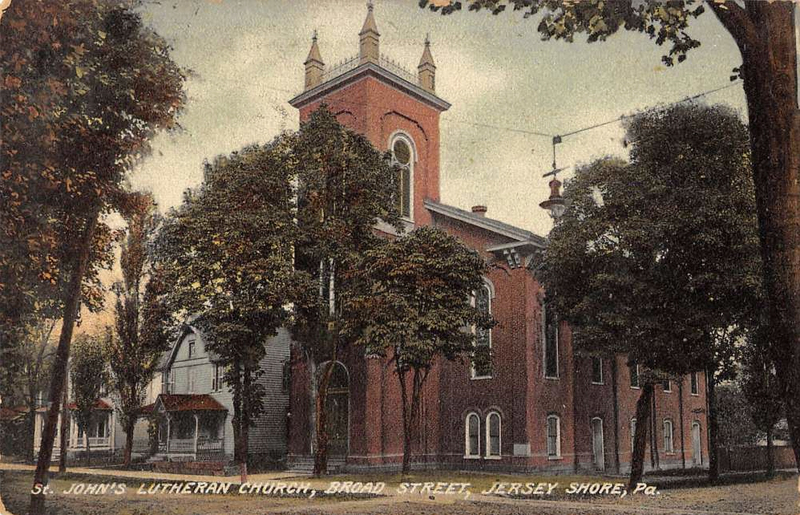 In November of 1891, a severe wind storm blew the tall church spire over onto the parsonage. This upper portion of the spire was never rebuilt. 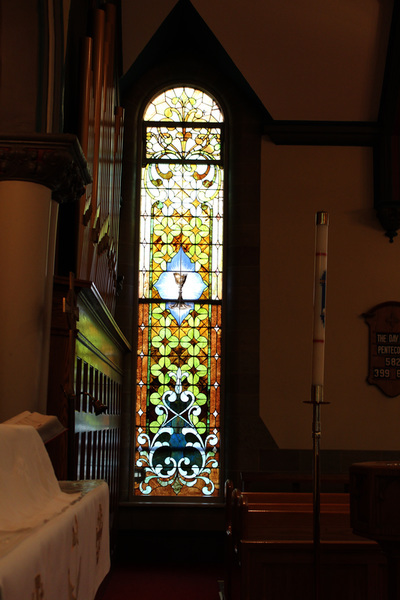 Several years later the stained glass windows were placed in the church. 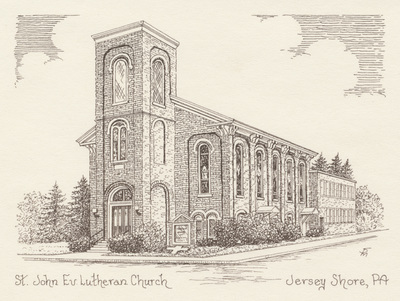 ​By 1911, the congregational membership had risen to "500 souls", and three years later a large junior young peoples society was organized. 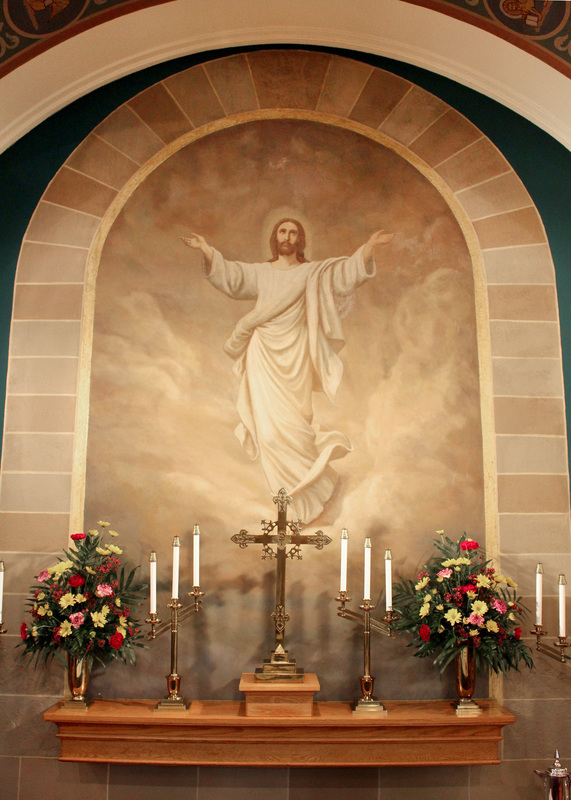 Among other improvements in 1925, the beautiful Ascension scene was painted behind the altar. The installation of the new pipe organ in 1932 was the occasion for a full week of special musical programs. 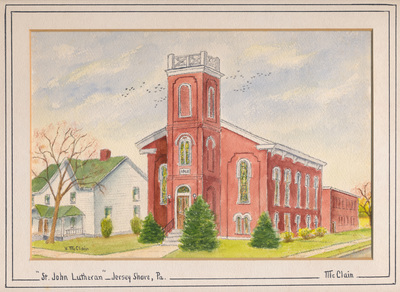 ​After years of discussion concerning the need for a Christian Education building, the campaign for fund raising was authorized in 1954. 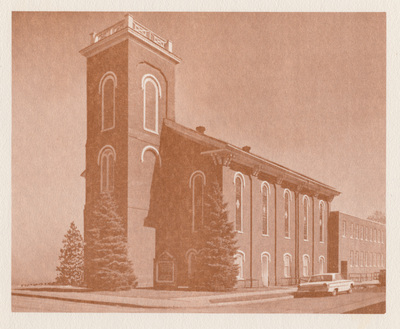 The dream was finally realized in 1956 when the Christian Education building with a Chapel was completed. 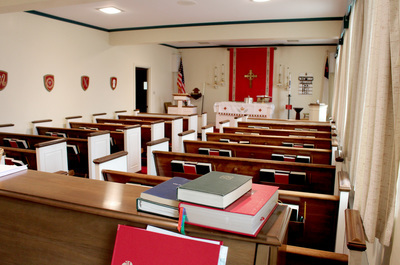 The Chapel is frequently used for meditation, baptisms, weddings, and services of Holy Communion. 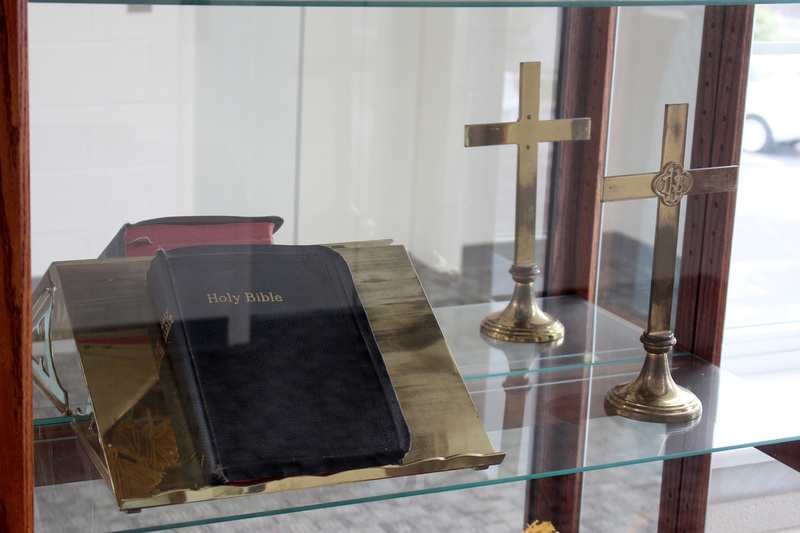 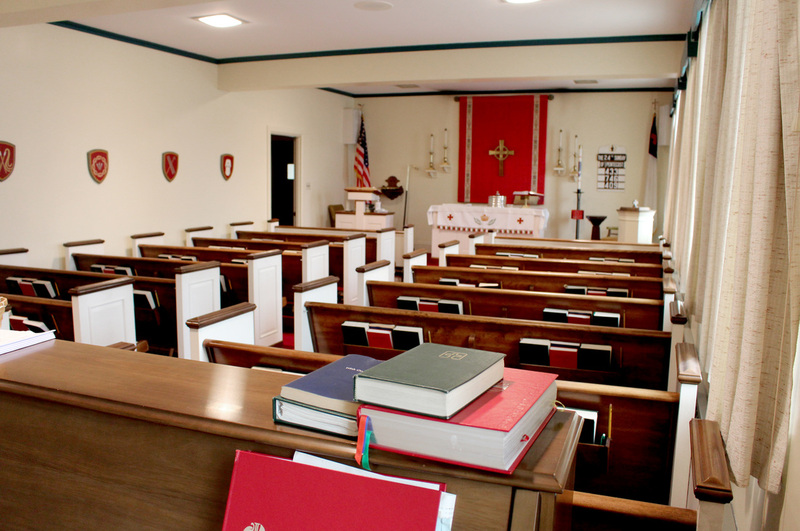 ​Several weeks before the Christmas of 1970, the Sunday School and choir rooms in the old wing of the building were ravaged by a fire and the recently redecorated nave suffered smoke and water damage. 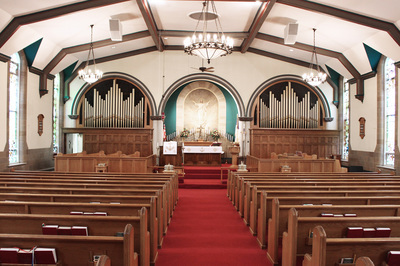 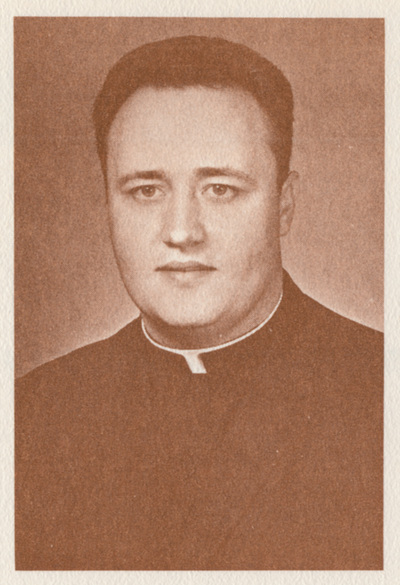 Fortunately, the fine new pipe organ, that was being built by Moeller, Inc., was not yet installed and escaped damage. 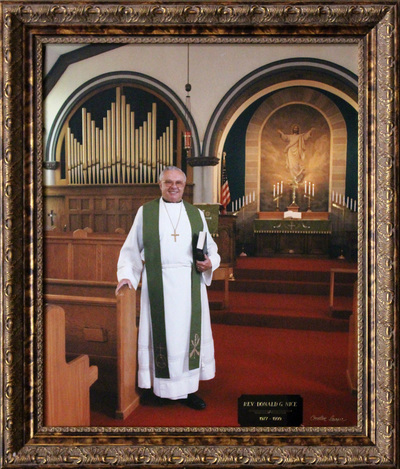 Thanks to a generous gift from Mrs. Oscar Marshall, the chancel area of the nave was expanded to provide a communion railing and kneeling cushions in 1979. 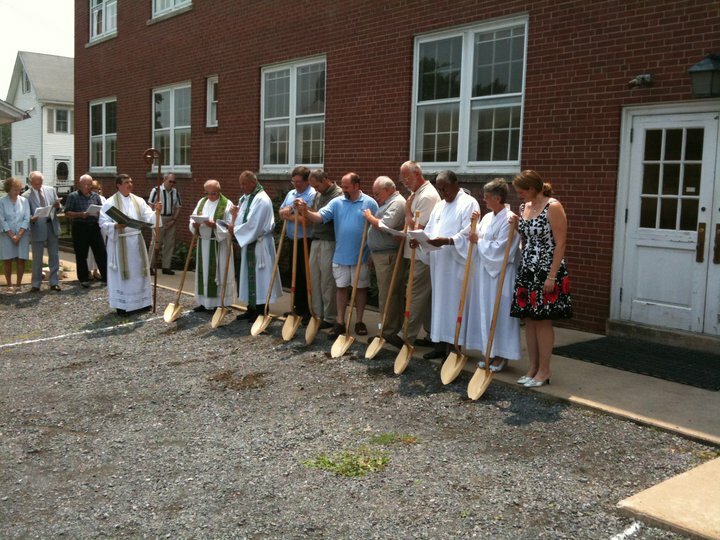 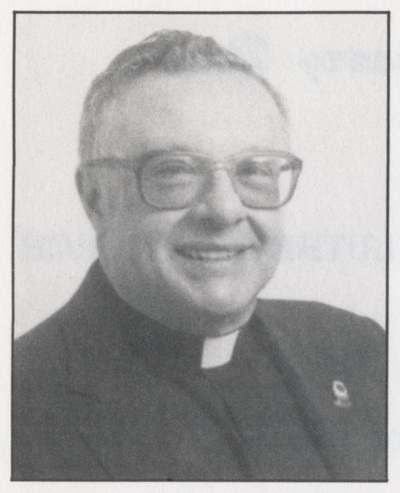 In 1979, the congregation voted favoring the concept that the Pastor is authorized to decide where he/she would live, and following a second vote, in 1983 the parsonage was demolished and the cellar was backfilled. 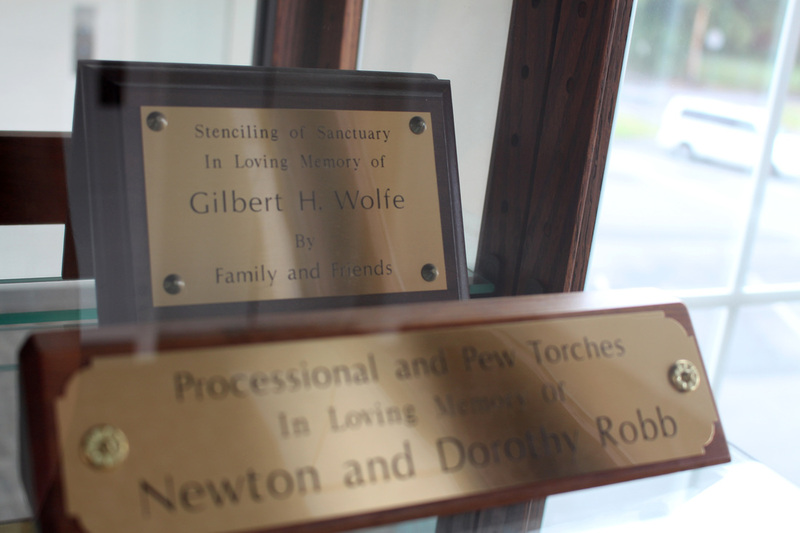 The Altar Guild was also established in 1983 with Nancy Simcox serving as the first chairman. Then in 1988, a ramp was added at the Canal Street entrance of the church, in order to accommodate the handicapped. 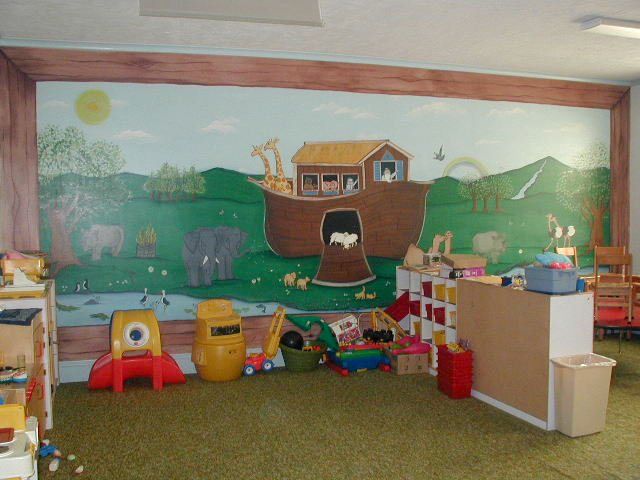 The church nursery was the recipient of a beautiful wall mural of Noah's Ark, dedicated to the memory of Linda Katov in 1989, as were numerous other pieces of children's furniture in the nursery. 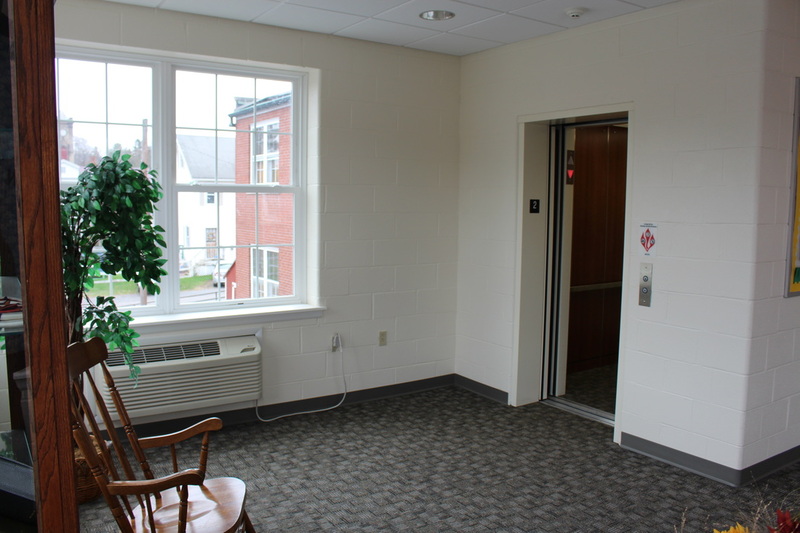 In 2001, the church Council enacted the Rising Anew capital campaign to install an elevator near the entrance opposite Thompson Street. The successful initiative also helped provide funding for paving of a parking lot on that side of the building with a covered entrance into the church. A small vestibule just inside, affectionately called "the tower," included a ramp up to the 1st floor and another down to the Adult Sunday School room. Also included in the Rising Anew initiative was: a complete renovation of the Adult Sunday school room, a new commercial kitchen and restroom on that floor, a security door near Pastor’s office, a new restroom adjoining the existing church office and exchanging usage of the office with the nursery downstairs and, finally, retrofitting the 3rd floor ladies’ room to include a walk-in shower. The goal of the church is to complete the campaign in 2017. 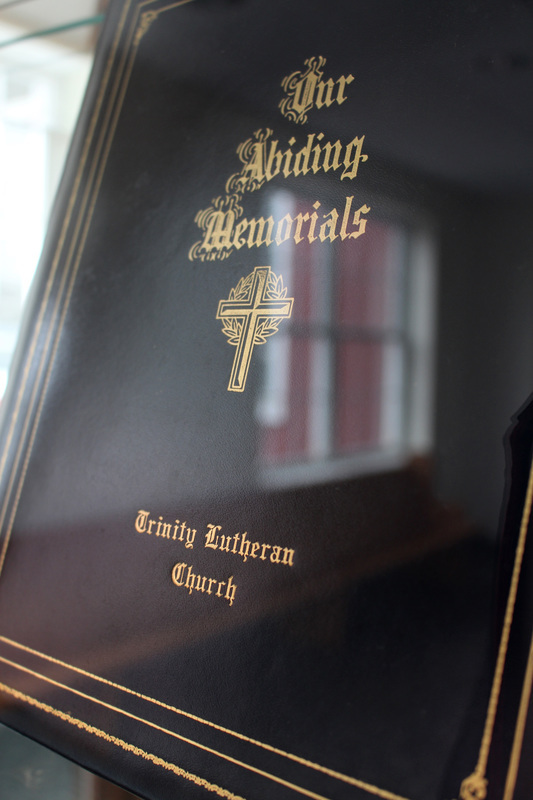 After 111 years of sharing the Good News of Jesus Christ the members of Trinity Lutheran, on Highland Street in Avis, gathered on September 29, 2013 at 8:30 a.m. for their last worship service. 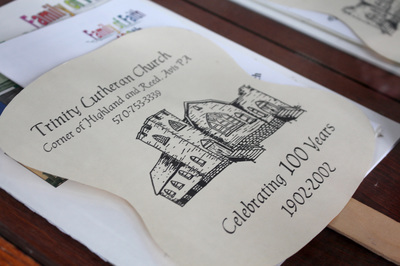 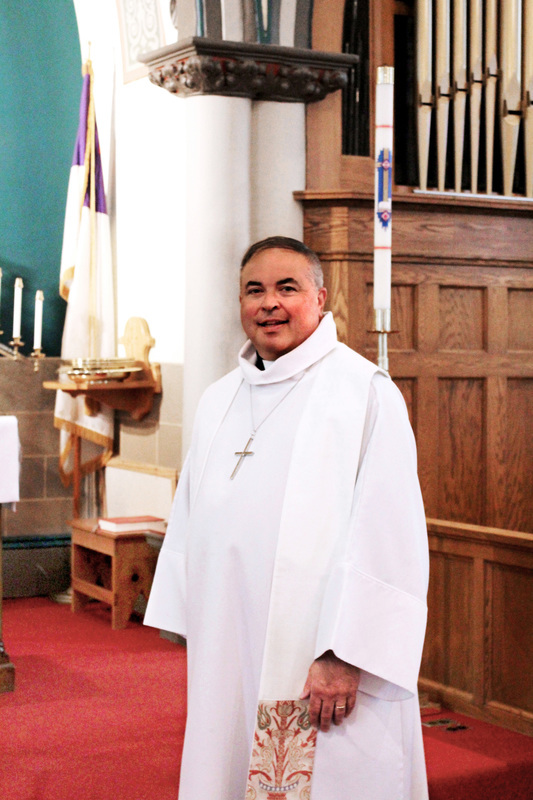 The congregation voted to merge Trinity Lutheran into St. John Evangelical Lutheran. Members and former members were invited to join in worship and celebrate all the saints who carried out the ministries of the congregation, which included outreach to the community. Pastor Chris Milarch, former pastor, and Pastor Kerry Aucker, interim pastor, led worship on that Sunday and the choir offered special music. 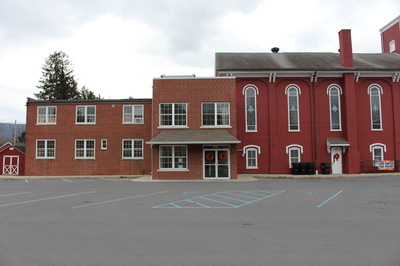 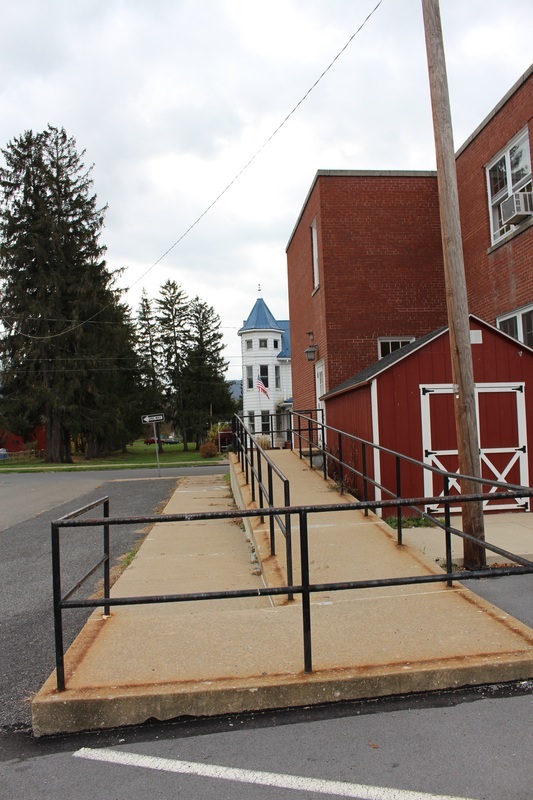 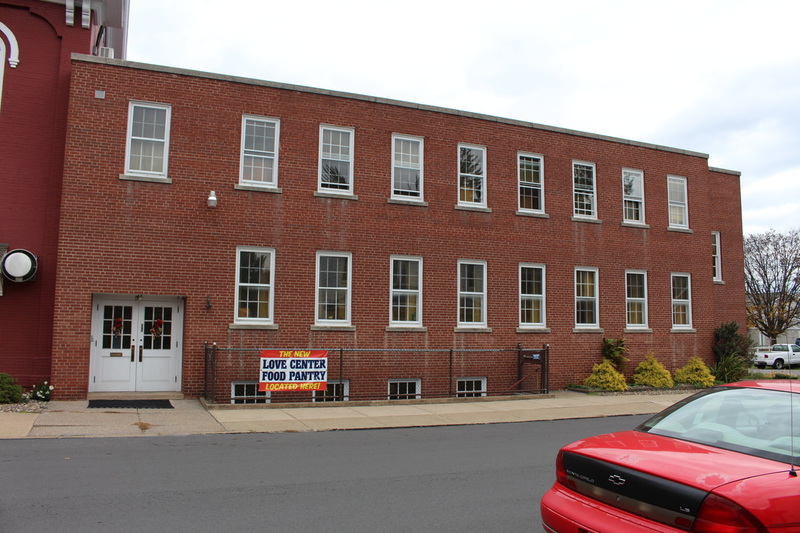 The proceeds from the sale of the Trinity building and other assets were placed in an Endowment fund which will fund education scholarships and community projects for in the Avis borough. ​Have information or photos for the website?